Mark Pordes’ career spans more than two decades spent working independently, and with some of South Florida’s largest and most prominent developers. During that time, Mark honed skill sets needed to create a highly successful luxury real estate company. Today, Pordes oversees the sales and marketing of high-end residential projects in the U.S. and abroad. His drive, vision and longevity of experience provide Pordes the foundation to build the infrastructure of the best professionals in the industry who successfully reposition assets throughout South Florida’s tricounty area of Miami-Dade, Broward and Palm Beach as well as Las Vegas and the Caribbean. Throughout his career, he has found success by executing on his aggressive business development and acquisition strategy. Pordes Residential Sales, Marketing and Acquisitions builds upon his proven track record of marketing knowledge and understanding the dynamics of each project. Pordes has the unique ability to analyze an asset, set up the proper infrastructure, and organize the sales and marketing program for developers, lenders and private equity firms to penetrate, reposition and sell in today’s marketplace. As a recognized leader in real estate, Pordes and his team consult with clients and partners to provide updated market studies and the due diligence necessary for large transactions or bulk sales. Media outlets across South Florida have often referred to him as the “King of Bulk Buys,” noting that he has a knack for spotting the best deals and fights to make them happen. Since 2009, Mark Pordes has brokered some of the largest luxury condominium bulk sales in South Florida such as The Ritz Carlton in Singer Island, Trump Hollywood and Nobe Bay in Miami Beach. Notably, he brokered $220 million in transactions in 2014 for condo hotel units at the W Fort Lauderdale Hotel & Residences and completed the sellout of a high-end condo project in Aventura with a $15 million bulk transaction. 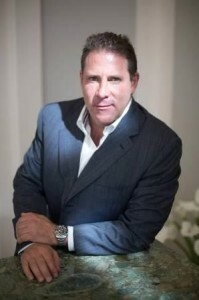 In the Caribbean, Pordes was responsible for completing the sellout of 495 condo hotel units at The Residences at Atlantis in 2010 and has worked on prominent projects including Schooner Bay, a master planned community in the Abaco Islands, as well as Old Fort Bay, a waterfront gated community in Nassau. The Pordes Residential business plan is two-fold. In one aspect, the company represents developers, lenders and the like to sell and market their inventory (either existing or pre-construction). The Pordes team has found great success in this with properties like Terra Beachside and Canyon Ranch Miami Beach in which they marketed and sold units for Lehman Brothers. The second part of the business plan has the company acting in the capacity of sponsors in which they take an equity stake in a project along with a private equity firm or investors. In these cases, the units are bought in bulk and brought back to market with Pordes Residential acting as the sales and marketing company. Pordes and his team have been very successful with this business model as well, and the results have been seen at One Bal Harbour and the Fontainebleau III in Miami, as well as Veer Towers in Las Vegas and Peninsula on the Intracoastal in Boynton Beach. In just the past few years alone, Pordes Residential has repositioned numerous condo projects with unparalleled success. At Veer Towers in Las Vegas, Pordes and a private equity partner purchased 427 units from MGM International. The team started sales at the beginning of 2013 and has since achieved over $200 million in condo sales with only 7 units remaining, making it the fastest selling project in Las Vegas. At the famous Canyon Ranch Miami Beach property, Pordes was hired to head up sales and marketing efforts for 350 units owned by Lehman Brothers. The team began sales in 2010 and by 2013, all residential units were sold out. Most recently in 2017, Pordes Residential was selected by two large ownership funds out of New York and Boston to lead the sales and marketing efforts for Marina Grande on the Halifax in Daytona Beach, Fla. Additionally, the firm was tapped to exclusively handle the sales for Bijou Bay Harbor, a boutique luxury project in Miami’s Bay Harbor Islands. Established financial institutions such as Lehman Brothers, Ladder Capital and Cerberus Capital Management, to name a few, have all worked with Pordes Residential over the years during slower markets to energize and generate new sales velocity. Prior to forming his own company at the end of 2009, Pordes managed sales projects for South Florida’s largest residential developers. Those include Turnberry Residential, where Mark was VP of Sales and Marketing for 10 years, managing and selling more than 5,000 units. Other notable projects span Brickell Avenue to Aventura and include 10 years with William’s Island, the luxurious Santa Maria, as well as Bentley Beach and Bentley Bay on South Beach. His efforts have collectively achieved condominium sales in excess of $1 billion.